Why should you notch a Custom Stable Lens? 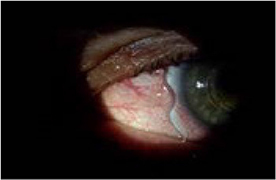 Maybe you have a pinguecula or a pterygium? You have tried going smaller to avoid landing right on it, you have tried going bigger to vault right over it, but it’s just not working. That’s when you would try the notch. With this, you are able to get around that problem area and get the most optimal fit, in turn making a more comfortable lens for the patient. Our standard notch size is 2 mm deep by 3 mm wide, but is completely customizable to fit your specific notching needs. There are a few different ways you can let the consultants here know where you want the notch. Try the different ways below. Draw the notch directly on the contact lens while on the eye – you can send us a picture or send the lens back to us with the notch drawn on the lens. If there are no additional changes that need to be made, we recommend sending the lens back to apply the notch in order to guarantee accuracy of placement. If you are in the Custom Stable Elite let us know how many degrees away from the flat meridian lasers you want the notch. You can also measure the area we are trying to notch and send those to us. When you notch, make sure to account for the fact that the lens was sitting on the pinguecula, therefore prepare to lose some clearance as the lens will now "settle" down more. Follow the same steps above! Wondering how the notch works? 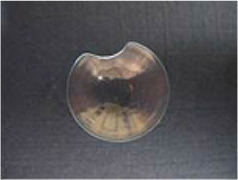 On the symmetrical lenses (Prime), as well as the Custom Stable Elite, the patient will just line the notch up with the pinguecula or pterygium and place the lens directly onto the eye. 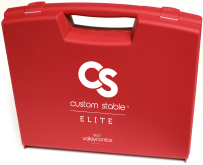 With the Custom Stable Elite, just like without the notch, it will rotate into place. So, is the notch right for you? Let us know!